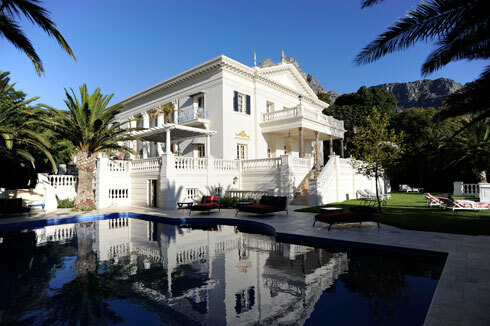 The Glen in Camps Bay is famous for being both wind-free and home to some of South Africa’s wealthiest individuals. It comes as no surprise that this magnificent newly-built palace (featured this morning on fashion blog popyacollar), is set right in the middle of the Glen, on an estate which just three years ago was three separate properties. 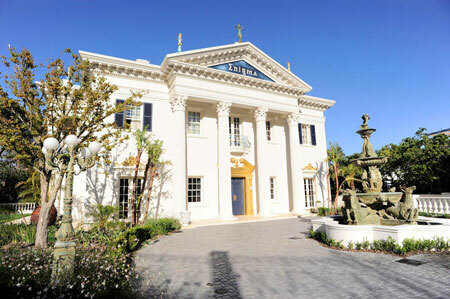 I have spent many days and nights at Enigma, as have numerous A-list international celebrities, who seem to slip in and out of Cape Town unnoticed. The estate is a wonderland of sorts, with features, fittings and furnishings the likes of which South Africa has never seen before. Extravagance ranging from pure velvet wallpaper in some bedrooms, to Versace crockery in the kitchen is only the start, as one indulges in a tour of the property – which takes well over an hour. 27 iPads control every technical aspect of the property, from security camera settings and views, to music throughout the house, air conditioning and TV – they are found mounted on the wall in every bedroom. Mentioning the fact that this opulent pile has an elevator would be similar to listing a bathroom as a highlight in a normal home. Not to be crude, but the value of this estate, with it’s furnishings (and should it ever be made available for sale) would be in the region of R315 million. With a cinema, spa, gym, tea garden, meditation temple, Versace-style swimming pool and a “studio” which could easily be your dream-home, one can understand why a home with this level of luxury would be so highly sought-after for rental by A-listers and extremely high nett worth individuals alike. Not that it would be an easy task to rent. My relationship with the owners is such that I have managed to introduce previous short-term ‘tenants’ on an extremely confidential basis. Needless to say the price is well in excess of any of the ‘castles’ found on Nettleton Road and the like. The refundable deposit alone for a previous week rental was R3 million. Do get in touch at enigma@2oceansvibe.com should you be genuinely interested to rent or purchase. STAGGERING PHOTO GALLERY OF THE ENTIRE PROPERTY.